Today's 10.4.3 update to Final Cut Pro comes one month after 10.4.2, another minor bug fix update, and more than two months after the release of Final Cut Pro 10.4.1, a major update that introduced a new ProRes RAW format, new closed captioning tools, and enhanced tools for exporting files. Would be nice if Apple would update FCPX to make better use of a EGPU. Quite general Apple style avoiding answer. I don’t have any intel about it but think about it. Remember the demo at this year’s keynote with Premiere and Resolve using multiple eGPUs in Mojave and the improvement in their speed? Why would Apple showcase third party apps utilising the updated eGPU feature and FCPX be left out? Especially when FCPX is so well written to utilise the most of hardware. Pro apps usually take more or less a year to implement new features of maOS. So I strongly believe that 10.5 will come out after the public release of Mojave and implement an advanced utilisation of eGPUs. 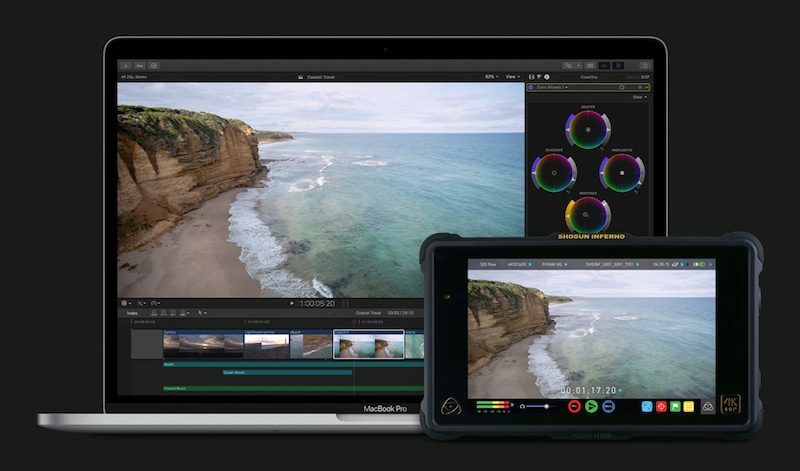 Does Apple even make a computer that can handle editing RAW files that costs less than $10,000? They had egpu working on FCPX10.3.4. Looks to have been purposely removed in 10.4. That’s what’s frustrated a lot of us users, and Apple’s refusal to acknowledge what they’ve done. I guess Apple noticed all the drones flying over their new campus so figured that it’s a good idea to add RAW video support to FCPX in order to make the videos look even nicer. Today's 10.4.3 update to Final Cut Pro comes one month after 10.4.2 ('https://www.macrumors.com/2018/04/30/final-cut-pro-bug-fix-update/'), another minor bug fix update, and more than two months after the release of Final Cut Pro 10.4.1 ('https://www.macrumors.com/2018/04/09/final-cut-pro-10-4-1-update-released/'), a major update that introduced a new ProRes RAW format, new closed captioning tools, and enhanced tools for exporting files. Great Apple. I’ve only had my Inspire 2 13 months. Very timely.